Work bringing you down? Consider recharging at the Fo Guang Yuan Art Gallery. It’s a great one-stop shop for ensuring you make the most of your lunch break. First you have the tea rooms where you can treat yourself to a relaxing herbal tea and vegetation meal. Faux meat is the order of the day with options that include vegetarian chicken stir fry and vegetarian crispy duck. Adjourning the tea rooms is s small room of art. It contains a collection of paintings, sculpture and crafts influenced by Buddhism and Eastern philosophy. Finally you have the upstairs room, where you can really work to restore your zen. 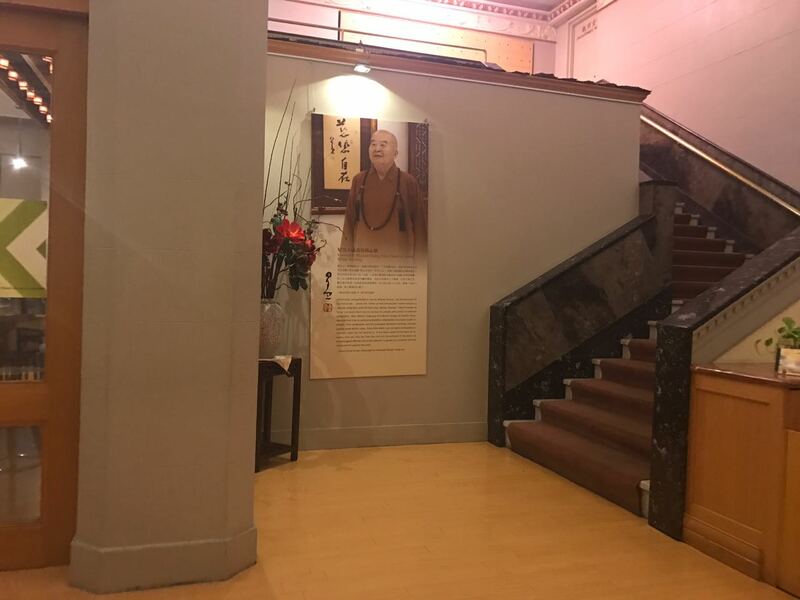 Take the stairs, slip off your shoes and enjoy some quiet time in the meditation hall. For many it is a place to worship, however everyone is welcome and there are even instructions for beginners on how best to meditate. The end result is that you return to the office with a belly full of food and a clear mind.